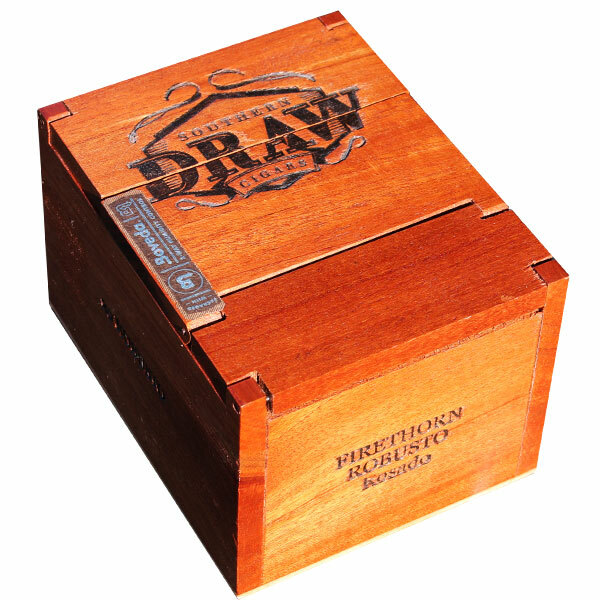 Southern Draw Cigars hails from Austin, Texas, bringing the bygone notion of the “Southern Gentleman” to the craft cigar culture. Founded by U.S. veterans, they’ve created a vibe of honor and respect — built around the simple, yet often-overlooked quality of a perfect draw. Produced in very small batches of only 5,000 cigars per month (per blend), the cigars are continuously tested to ensure their signature, guaranteed “Simply Perfect Draw”. Firethorn is the brand’s sophomore release, following the brand’s popular Kudzu blend. For Firethorn, Southern Draw pulls back the body for a medium experience — aimed to pair with easy-going, or “everyday” craft brews and wines. The blend incorporates Cuban-seed, Nicaraguan and Mexican fillers, topped with a specially double-fermented, Habano Rosado wrapper. Sweet and easily enjoyable flavors abound, complete with notes of honey, cinnamon, milk chocolate, and even pecan pie! Recommended pairings include cream ales, Belgian ales, Malbec wine, clear alcohol cocktails, and blended Scotch whisky.